Once again Kelly and I were in no rush to get ourselves ready today – it is a holiday after all. Lilly was the first to get started this morning and was anxious to get outside. After a quick walk we did a bit of laundry while we ate breakfast. We have only booked two nights at our current location and Kelly suggested that we move to a state park just down the road. After a bit of reconnaissance to check out the state park, we made our way into downtown. As mentioned yesterday, I was keen to get myself some decent coffee – especially a nice shot of espresso. 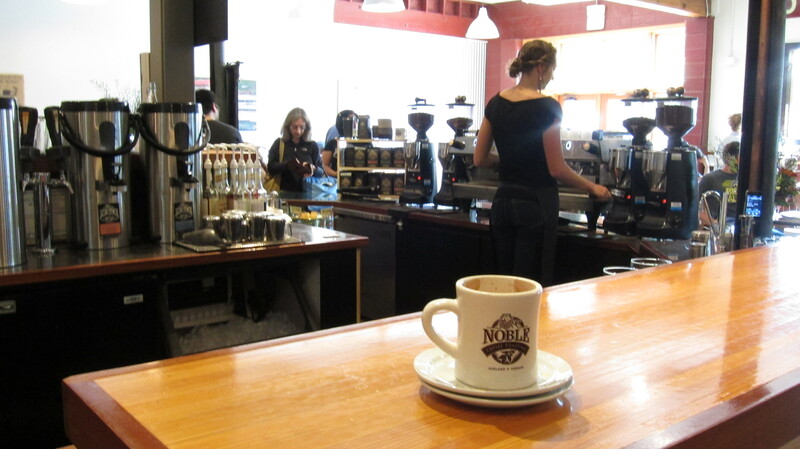 Thank goodness Noble Coffee Roasters was open today. Kelly and I each had a drink (actually, I had two) and pastry. Everything was delicious. 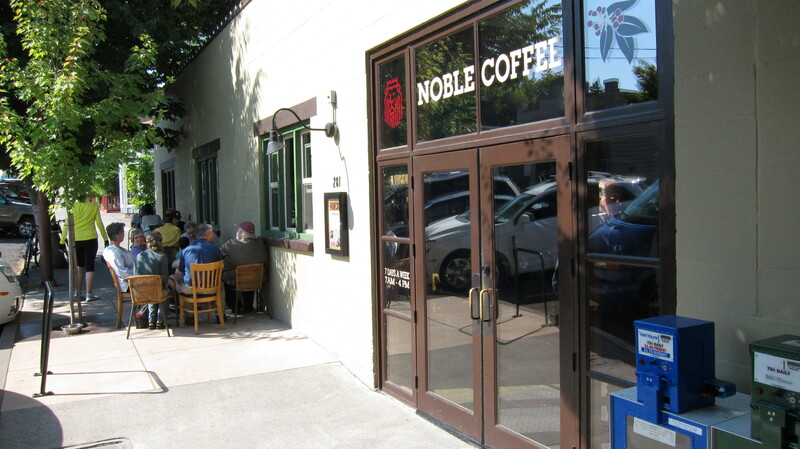 Once we finished fooling around with coffee, it was time to venture into the foothills surrounding Ashland. There are a plethora of trails to choose from in the area and we opted for something relatively close and with plenty of shade. The hike was nothing too strenuous, but it’s always nice to walk trails and in this case, Lilly decided this particular hike was all about exploring the adjoining stream. Sometimes Lilly has no interest in water, sometimes she does. Today she wanted play in the water. 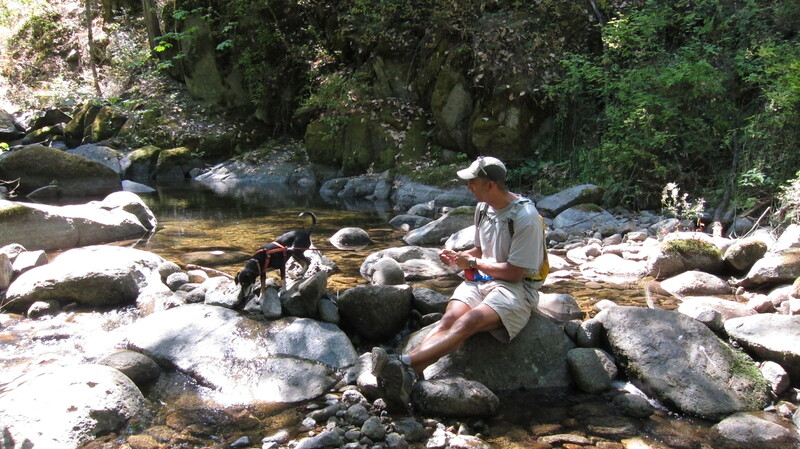 After a few hours in the trails, it was time for a late lunch. 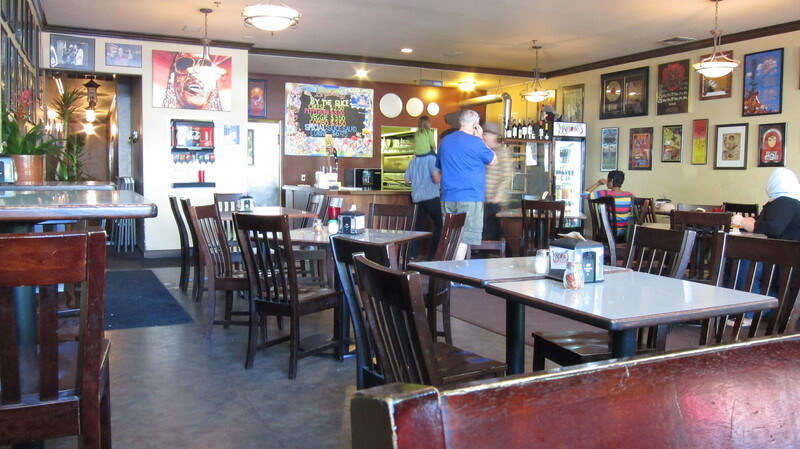 One of our preferred eateries is Martolli’s, a downtown pizzeria. Stopping here was a no brainer. 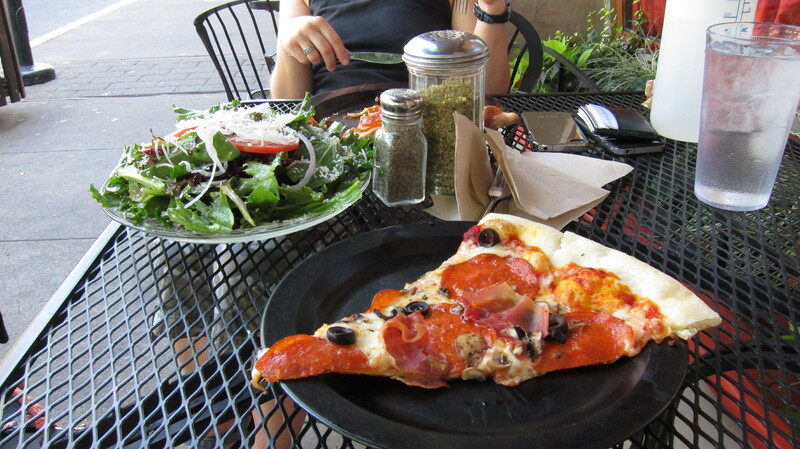 Kelly and I each had one slice and also shared a salad. The food is really tasty, but today our salad was made incorrectly (the dressing was not on the side – I hate that), but all in all, good eating as is usually the case here. The weather is great today which afforded us ample opportunity to enjoy ourselves. Once we finished lunch, Kelly and I wandered around town a bit more before heading home. 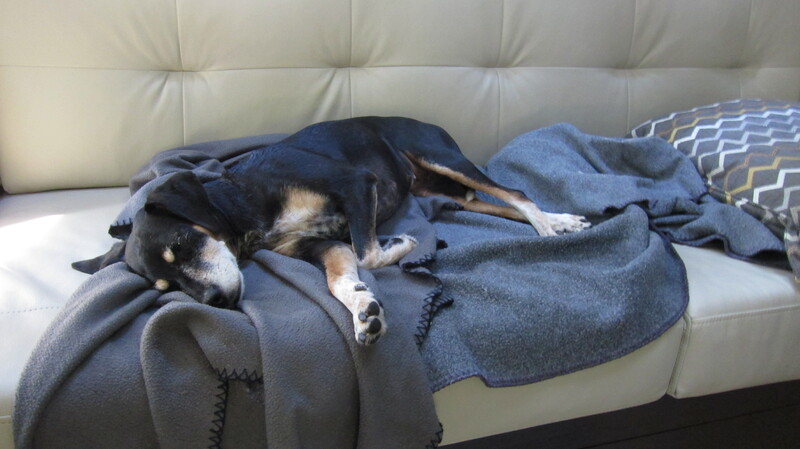 As you can see below, Lilly was also ready for a little late afternoon relaxation.